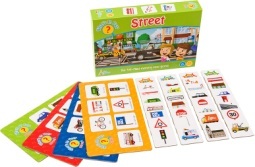 Little Wigwam - What's In Your Street? 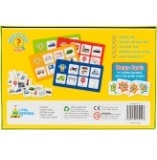 A fun-filled memory game where players race to match the items on their card. Fire Engine? Police Car? Stop Sign? House? 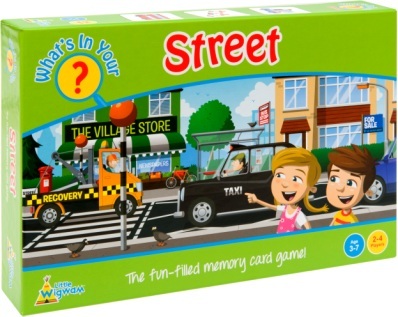 Can you find your Street items first? 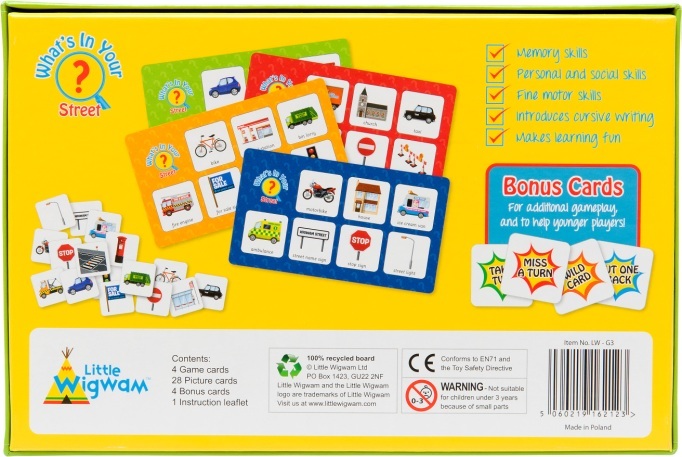 With 4 optional Bonus Cards to vary play, the game can be played by up to 4 children of varying ages.